To evaluate the efficacy and safety of intravitreal drug injections using a short 34-gauge needle. 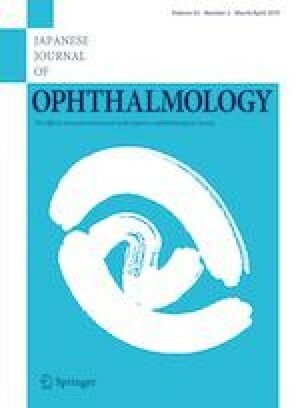 This study included patients with age-related macular degeneration, diabetic macular edema, or macular edema associated with retinal vein occlusion. We reviewed the medical records of consecutive patients with one of those three diseases treated with antivascular endothelial growth factor (VEGF) agents using an 8-mm-long 34-gauge needle. Sustained intraocular pressure (IOP) elevations were defined as IOP exceeding 21 mmHg or 6-mmHg or higher increases from baseline on 2 consecutive visits at least 1 month apart. The main outcome measures were improved best-corrected visual acuity (BCVA), central retinal thickness (CRT), IOP changes, and incidence of complications related to the 34-gauge needle. Six hundred ninety-eight injections were administered to 243 consecutive patients (mean age, 74.0 years) and reviewed. The mean follow-up time was 30.2 ± 15.9 weeks. The mean number of intravitreal injections/eye was 2.7 ± 1.8 (range, 1–9). The mean BCVA improved significantly (P < .0001), from 0.43 ± 0.4 logarithm of the minimum angle of resolution (logMAR) units at baseline to 0.36 ± 0.41 logMAR units at the last visit. The mean CRT decreased significantly (P < .0001), from 426.9 ± 168.5 microns at baseline to 297.6 ± 121.1 microns at the last visit. The mean IOP decreased significantly (P < .0001), from 13.6 ± 3.0 mmHg at baseline to 12.9 ± 3.1 mmHg at the visit after the first injection. A retinal tear occurred in 0.14%/injection (1/698). A sustained IOP elevation occurred in 1.29%/injection (9/698). Despite a few complications, the short 34-gauge needle was efficacious and safe for anti-VEGF intravitreal injections. The authors have no proprietary or commercial interest in any materials mentioned in this report. H. Sasajima, None; K. Tsuboi, None; K. Murotani, None; M. Kamei, Grants (HOYA, Abbott, Novartis, Pfizer, HANDAYA, TOMEY, Kowa, Santen, Senju, Otsuka, Alcon).